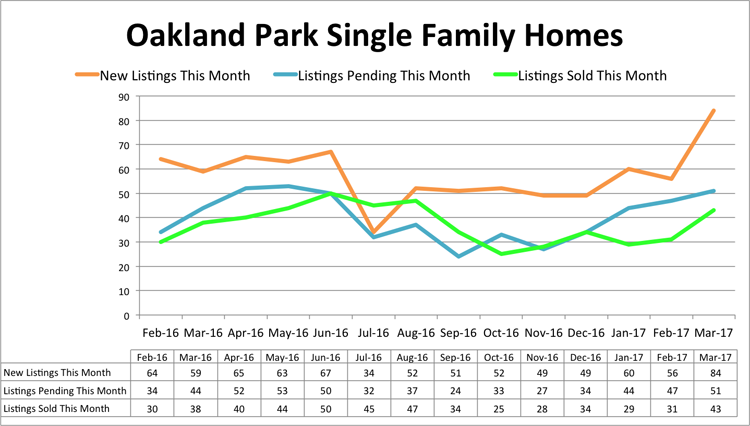 Trend continues to show higher inventory levels in Oakland Park for single-family homes. 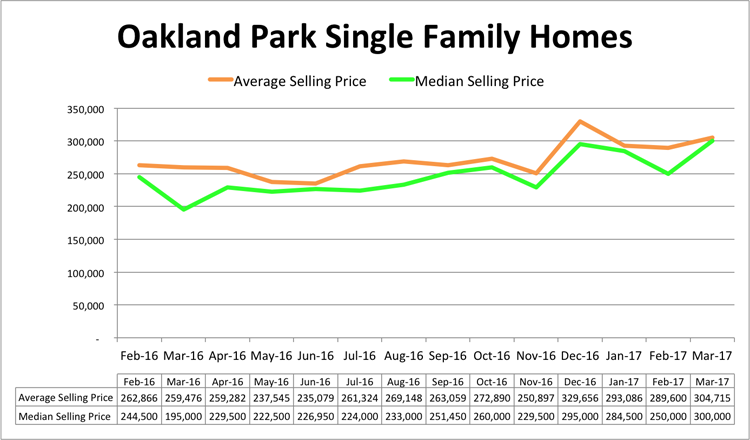 Both Average and Median Selling Prices are at higher levels than previous year. 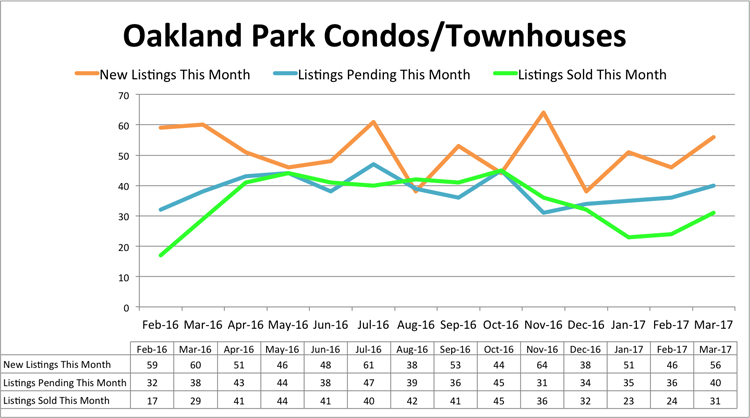 Inventory levels for condominiums and townhomes are about the same as in 2016. 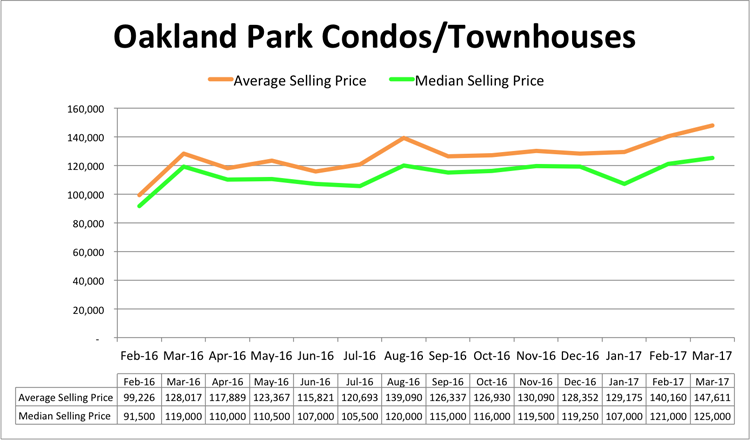 Prices for condos and townhouses continue in an upward trend, showing 5% to 7% gains in market value over 2016. Previous What is a Swale?